As a multi-faceted company, there are many moving parts under the Dreamhouse roof. Each day looks different for us. Some days we are meeting up with clients, other days we are creating designs or strategies for a brand, but most days we are juggling everything at once. Raise your hand if you can relate! For a company with a handful of employees who live all over the country, we have learned that constant communication and work efficiency is key to staying positive and successful. In order for our team to successfully serve our clients, we must understand how to work productively and in unison. Whether it's through an 8-hour long FaceTime call, group texts, or meet ups, we have developed our own happy mix of tools that help us accomplish tasks swiftly and smoothly. How do we do it? We are happy to share. Here's a list of the best tools that keep our team accountable, productive and stress-free ...most of the time. This collaborative checklist making tool keeps our team on task and efficient. It even helps us manage projects to completion over time! Having a master to do list that is connected to each team member keeps our workflow remain task driven and unified. Tasks can be added by an employee for personal organization or assigned by an administrator. Todoist gives you the option to prioritize tasks, assign due dates, and categorize tasks by client, type, and pretty much however you want! When a new task is added and assigned, each member receives a notification with updates, keeping the team accountable for their responsibilities. When we are unsure of which task to tackle next, we look back at our Todoist to track our priority levels, deadlines, and overall goals! It also allows us to communicate in an organized way on task-related notes and project updates. Streamlining our communication, Todoist has freed up lots of email inbox space; Instead of emailing new tasks and feedback each day, we can assign tasks to each other without ever even sending an email. Toggl is a time management tool which tracks our time spent on projects. This tool is very helpful when analyzing our time management and the quality of our time spent. It can be linked with Todoist, which is helpful when we need to keep track of our task's time duration. With the combination of Todoist and Toggl, we are able to keep track of our productivity and analyze which projects take the most time. By gathering this knowledge, we are able to refine our time management to achieve the highest level of productivity. You know how much we love to nerd out over analytics charts... just another opportunity to visualize the efficacy of our workflow! This is a one-stop shop for social media management. Buffer allows you to manage a number of social media accounts under the same umbrella, schedule your posts, and analyze the effectiveness of each post. As a company that creates and handles a number of social media accounts, this program is liquid gold for Dreamhouse. We love how clean and user-friendly Buffer’s platform is--we are all about the click and drag. Using one tool to schedule a variety of social media campaigns helps us to stay stress and headache free--just how we like it. Airdrop is one of Apple’s underrated iOS gems. Some people are loyal users and others have no idea what it is.  So we will let you in on a little secret... Airdrop is a quick and easy tool to share images, docs, contacts, etc. on multiple Apple devices. To share the file, simply turn on your Bluetooth and choose the file you would like to Airdrop. The device you would like to share with will connect with your Bluetooth and you can send it! Dreamhouse uses this for sharing images on multiples devices for our social media posts and blogging. This tool is far more productive than emailing or texting yourself a photoshoot of photos, and it feels like you're doing a magic trick, which we fully support. A fan of the ol' pen and paper? Our favorite non-tech tool to keep us organized and on track is The Happy Planner from Me and My Big Ideas. What is The Happy Planner? The real question is, what isn't The Happy Planner? This disc bound, expandable planner system allows you to organize basically your entire life in the most efficient way possible. We love their unique page structure which breaks each day into three distinct blocks for you to do with what you choose (our favorite is morning/afternoon/evening). Customize your pages with custom made stickers that feature inspirational notes, reminders and to do lists to keep you focused and on task. There are many efficiency inserts that you can add to your planner including to-do-lists, note paper and financial planning. Don't stop at just organizing your work life, The Happy Planner also makes home planning and exercise tracking inserts that we love. And it doesn't end there, this planner has a cult following in the best way possible. You can find loads of unique pages designed as printables by Happy Planner lovers everywhere. The Happy Planner encourages creativity to keep you organized and inspired to get things done! These tools are not limited to small businesses. They are tools are excellent for anyone who is trying to keep their life organized and time well managed. For busy people like ourselves, staying productive keeps our energy positive and goal oriented, rather than anxious and counter-productive. Try implementing one or two of these tools in your workflow and let us know what you think!